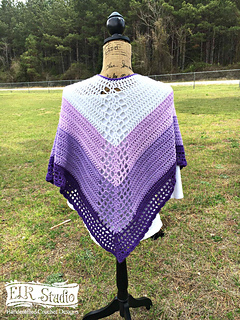 Have you seen the brand new Loops and Threads Color Wheel yarn by Michael’s yet? Well I’m on a 5 month campaign with them sharing all kinds of beautiful projects. 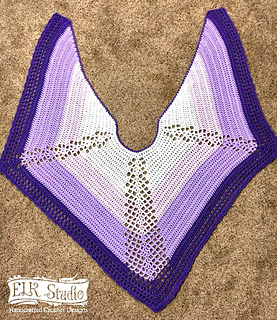 The Southern Trails Shawl is the 2nd project in the campaign and will be a Crochet-Along! Come join the ELKies for some fun. In the group, you are sure to get all kinds of help if you need it or maybe you can be the one to offer your expertise! While the CAL is over….you can still join the group and work on your Southern Trails. 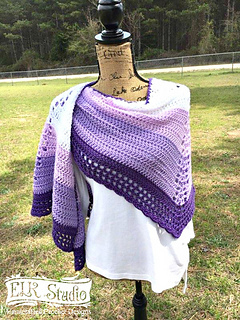 The pattern was professionally tech edited and includes stitch diagrams for the right and left-handed crocheter. The pattern is written in American Standard Terms.